Fatalities have been features of games since the mid 90’s. In the final round of battles – instead of simply knocking out your opponant in the last round – you can carry out an extra move to kill your opponant. These require a huge amount of thumbstick gymnastics, and can be frustrating to pull off. However, some range from the sublime, to the stupid, to the just plain sick. Here are my personal three favourite fatalities in beat-em-ups gone by. 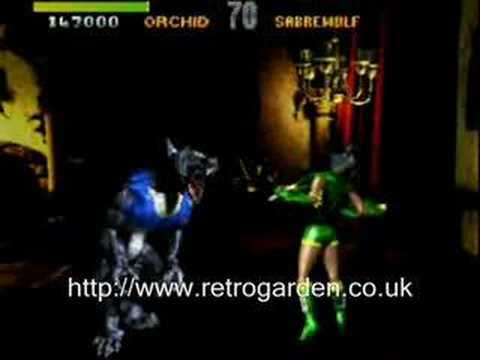 Killer Instinct was more remembered for their 80+ combos to finish off the opponants, rather than their fatalities. Rare seemingly tacked on the fatalities to show off their fantastic graphics engine. Cars falling on people, people being knocked into the stage, nothing too untoward. However, one such fatality that was memorable and a stroke of genius was the pneumatic B. Orchid’s fatality. Who concealed two weapons underneath her top that caused the opponant to suffer a heart attack. I can think of worse ways to die. In later Mortal Kombat games, the characters became more serious and darker than previous games. As such, Fatalities changed from having Arcade Machines dropped on them and Kabal’s “Scaring Them To Death” to really brutal fatalities. 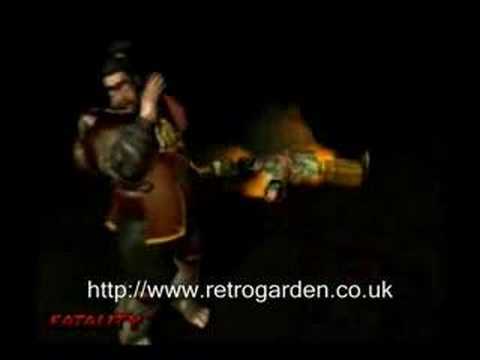 Except for Bo Rai Cho, who in Mortal Kombat: Deception used a move he picked up in University, and launches the first ever “Fartality”. He can light farts better than most. A serious one now, there were more brutal moves in Mortal Kombat 1 (Sub Zero’s Spine Rip), there were ones that were most surprising (Scorpion burning hell fire onto the opponant, toasting them alive), but the most controversial one was Kano’s heart rip. This was shocking and made my parents ban me from playing the game. I, like every 12 year old kid in the world, thought it was cool. These are my three favourite fatalities, but what about you? How did you like finishing off your mate in your favourite beat-em-up? 3. Mileena’s swallow and spit from MK2 – mainly cos it was so easy to perform. Hold down HK for a few secs, let go at close range and Mil eats her opponent and spits out the bones. 2. 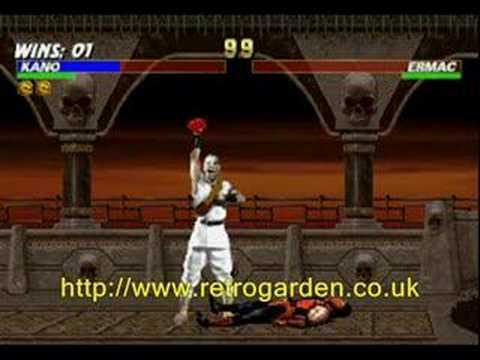 Quan Chi’s arm rip from MK4 – he rips off his opponent’s arm and batters his opponent with the soggy end. 1. Kung Lau’s hat split from MK2 – cuts you right down the middle vertically. Gruesome.